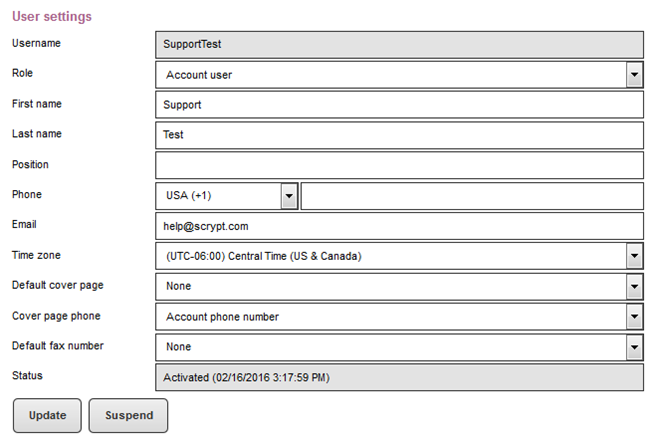 This document will outline the various user permissions that can be set by the Account Administrator. 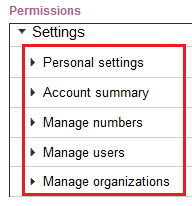 You must login as an Account Administrator in order to access the Permissions area. 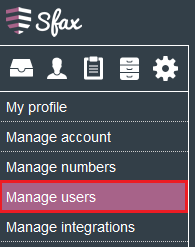 Once logged in, go to the Settings option and then select Manage Users. You can then select the user that you would like to adjust the settings for. 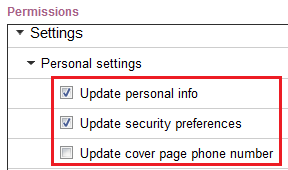 After selecting the user then scroll down under the User Settings to the Permissions section. The Permissions section is broken down into two main categories. 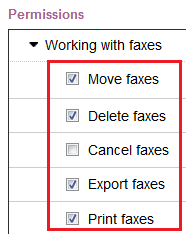 Faxes and Settings each have multiple options listed under the selection. System permissions are not active to end users at this time. The first section we will cover is the Faxes section. 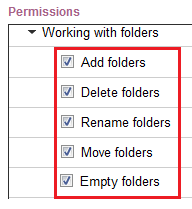 You have the ability to allow users to Add, Delete, Rename, Move, and Empty folders. 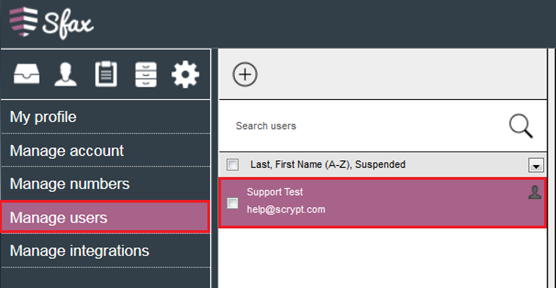 To enable the user permission you are working with mark the check box next to the selection. The next section we will cover is the Settings section. You have the ability to allow users to Update personal info, security preferences, cover page phone number.